After the Turkana hunger debacle, humanitarian organization Red Cross Kenya is out to raise funds for relief efforts. Many Kenyans liken this to the Kenyans for Kenya campaign that had millions raised. However, many question how this money is being used. Kenyans on Twitter rallied to say that they cannot be doing the work of the government each time. 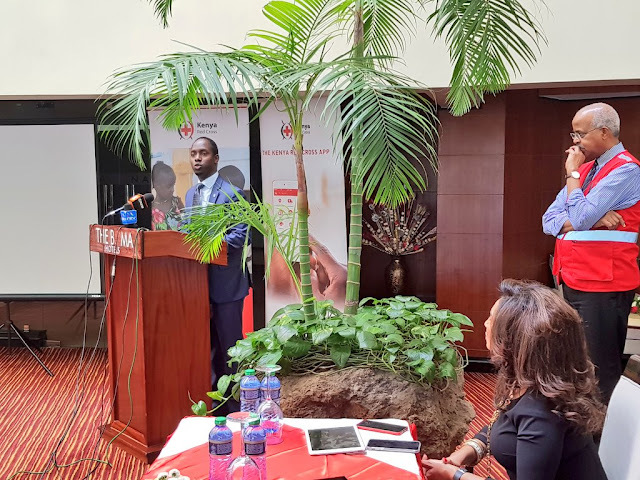 When you see Gina Din PR with Kenya Red Cross, know that the money will not benefit the hungry but will only be used to line the pockets of Gina Din and Abbas Gullet. Ask Abbas where he took the Ksh 1 billion given to him by Uhuru for flood mitigation. THIEVES!!! I don't support this Kenyans for Kenya initiative. I also don't think calling people thieves devoid of facts is smart. Style up.